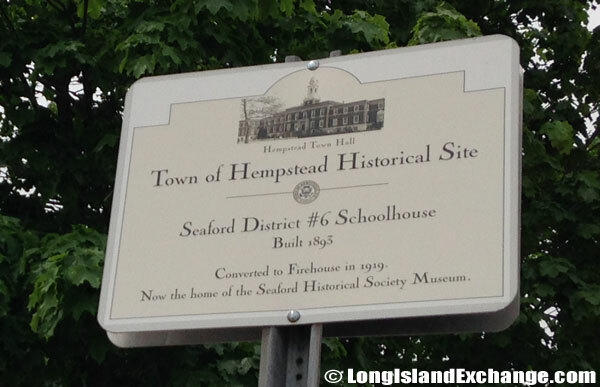 Seaford is a hamlet and census-designated place located in Nassau County, on the south shore of Long Island, 25 miles east of Manhattan, New York. It is one of the older communities on the Island. As of 2010 census, there were 15,294 people, 5,144 households, and 4,175 families residing in the CDP. The median income for a household is $107,340 and for a family is $115,523. The median earnings for full-time, year-round male workers is $70,596 while females recorded just $57,124 full-time, year-round income. The latitude of Seaford is 40.665N. The longitude is -73.488W. It is in the Eastern Standard time zone. Elevation is 10 feet. 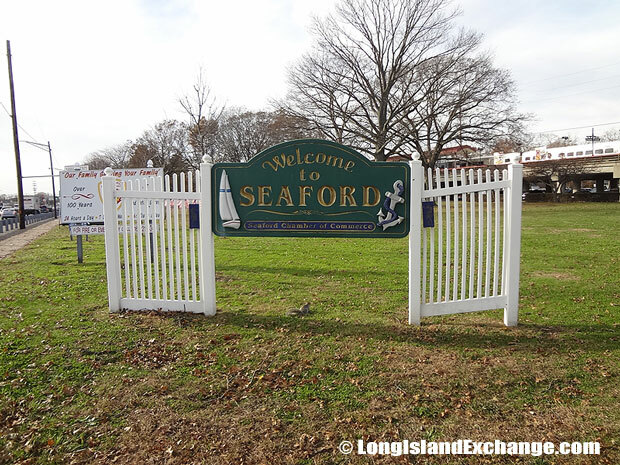 A sign along Montauk Highway welcomes visitors and residents to Seaford New York, founded in 1643. 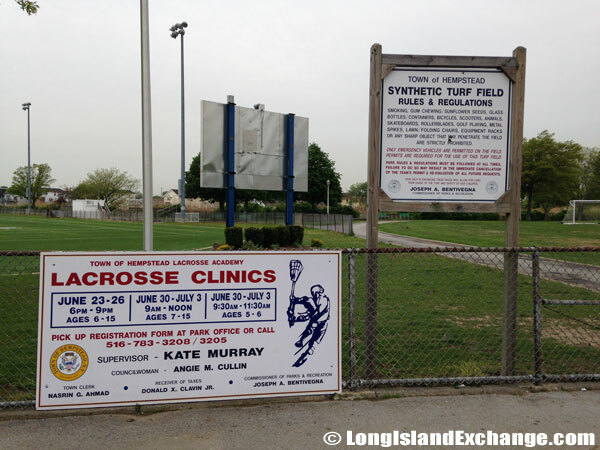 A sign along Sunrise Highway and the Seaford Train Station welcomes visitors and residents to Seaford, erected by the Seaford Chamber of Commerce. 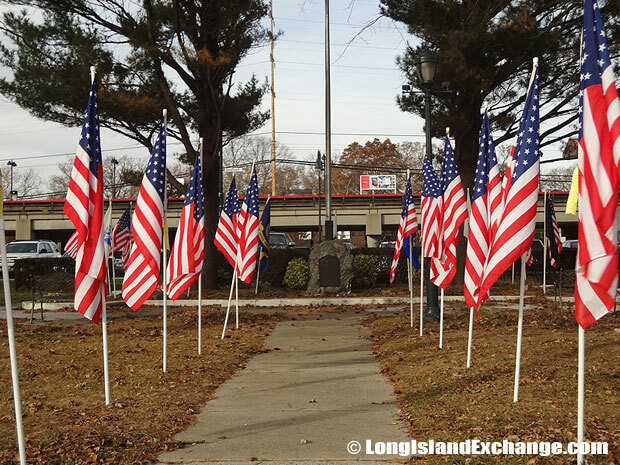 Flags at the Train Station on Sunrise Highway. 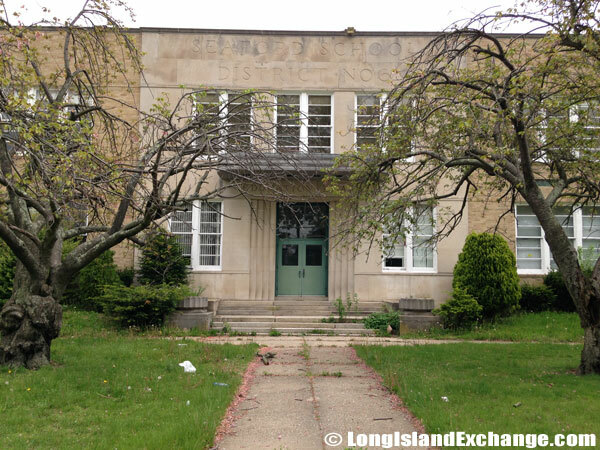 An old abandoned building, previously used by the Seaford School District. 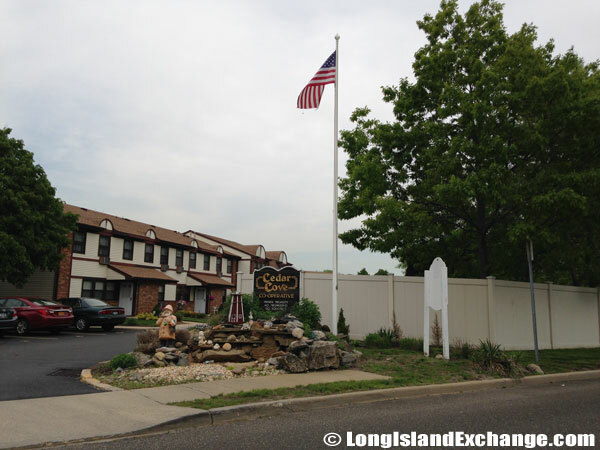 During the 19th century, the area started to develop by the arrival of Captain John Seaman, a native of Seaford, England. It was formerly named as Jerusalem South, the first European name given to the town which was to become Seaford and also referred to as Seaman’s Neck. 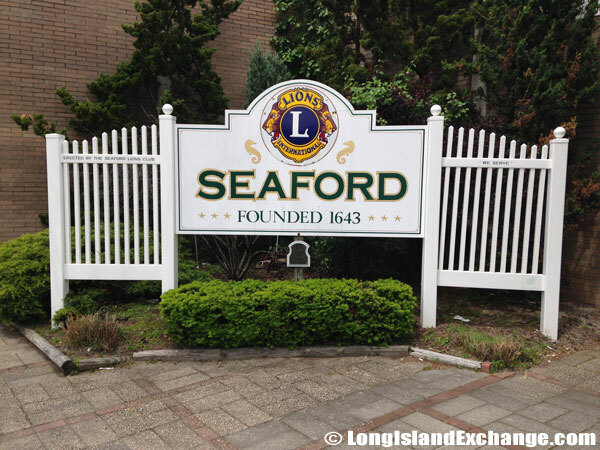 The current name “Seaford” came from Captain Seaman’s native town. During this time, Seaford was known for its richness in agriculture such as corn and wheat. 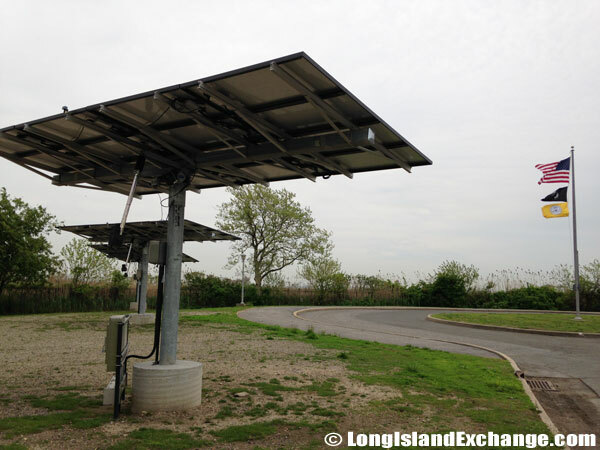 In 1929, Sunrise Highway was created and the area started to see a large influx of inhabitants. 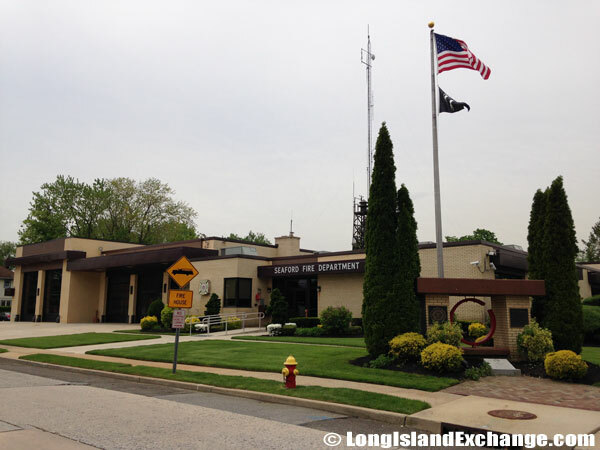 Hempstead Historical Site, Seaford District Number 6 Schoolhouse, built in 1893, converted into a Firehouse in 1919. 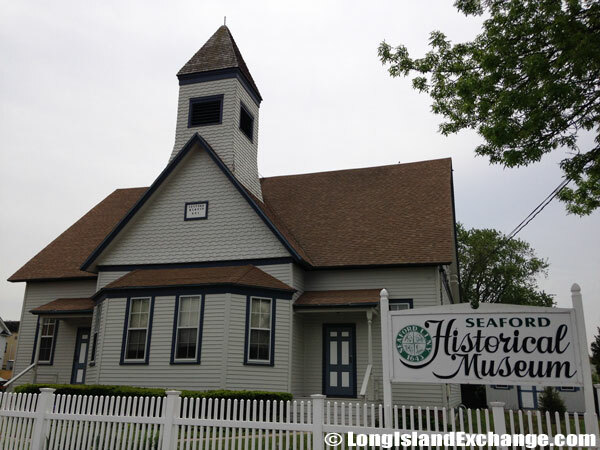 Now the home of the Seaford Historical Society Museum. 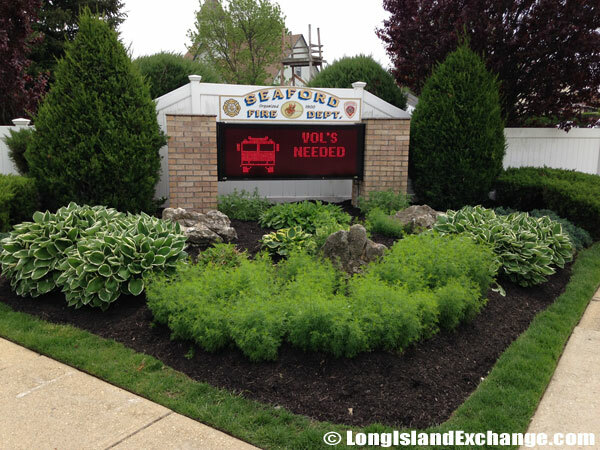 A digital sign outside the Seaford Fire Department reminds local residents that volunteers are needed. 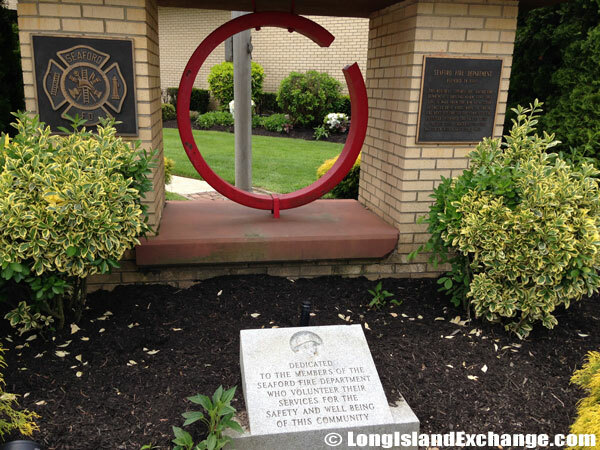 A memorial outside the Seaford Fire Department, dedicated to the members who volunteer their services for the safety and well being of their community. 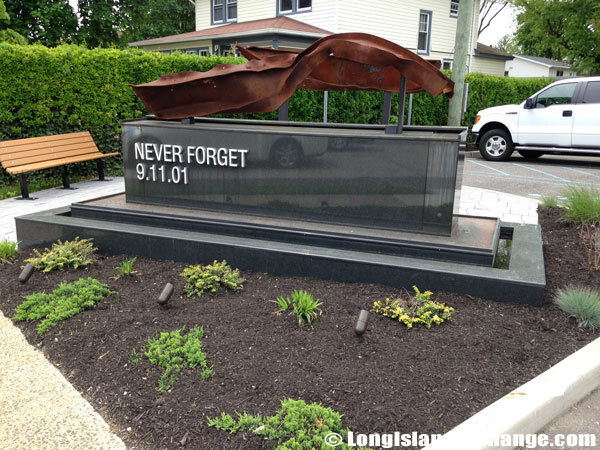 A piece of Steel from the Trade Center Attacks of September 11, 2001. 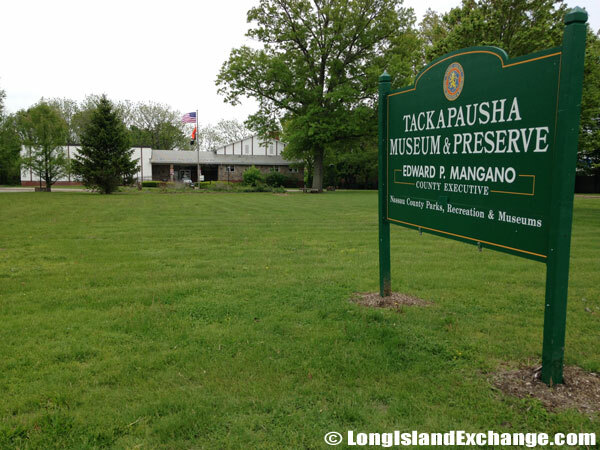 The Tackapausha Museum and Preserve is one of the famous museums that can be found in Seaford. It has wildlife preservation that is on display with special presentations and a large preserve for splendid nature walks. 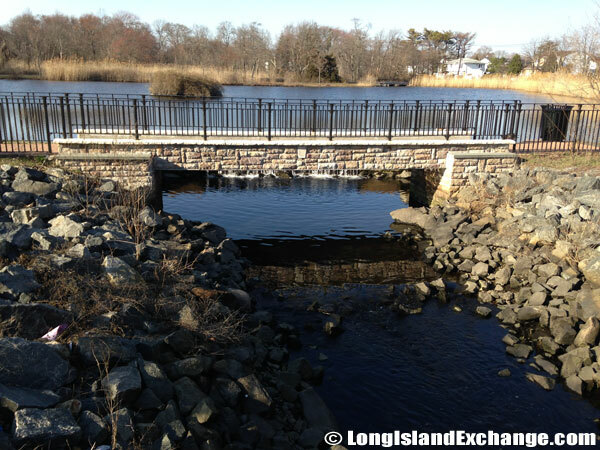 Many arboretums and historical sites such as Old Bethpage Village Restoration are located in the region. It provides visitors with a unique and wonderful opportunity to step back in time and experience life in a recreated mid-19th-century American village. 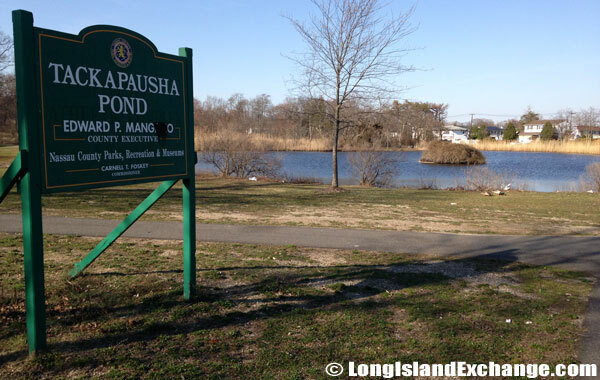 Tackapausha Pond, 75 acres of ponds, streams and forests. Seaford down by the water along Marina Park Drive and Seamans Neck Park. 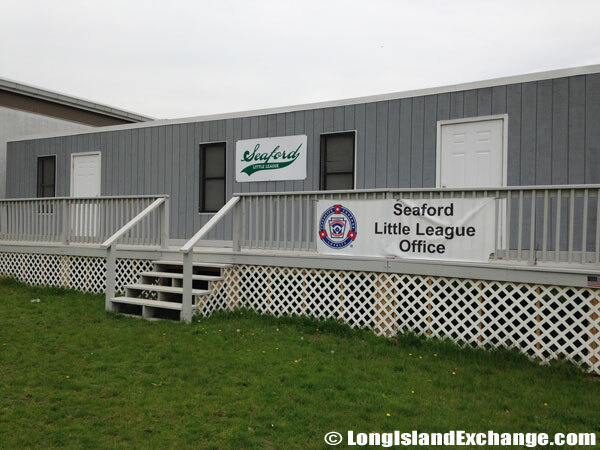 The office for the Seaford Little League. Seaford all the way down by the water at Seamans Neck Park. 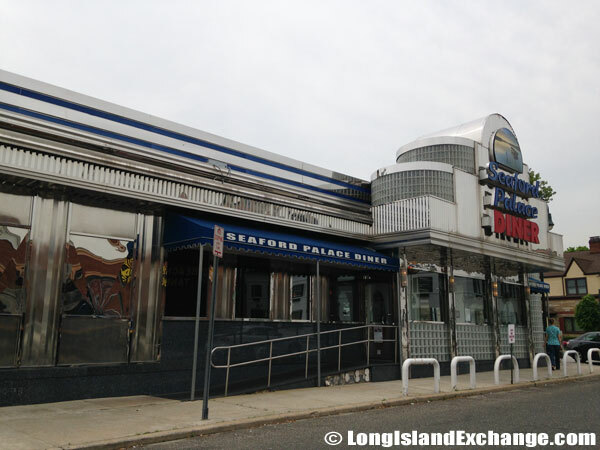 The Seaford Palace Diner and Restaurant. The Seaford Union Free School District comprises of several schools that offers an excellent quality of education. It is governed by the Board of Education which consists of five elected members. The Seaford Chamber of Commerce has tried their best to bring back strong community relations involving business districts, schools, civil and social organizations in supporting Seaford. 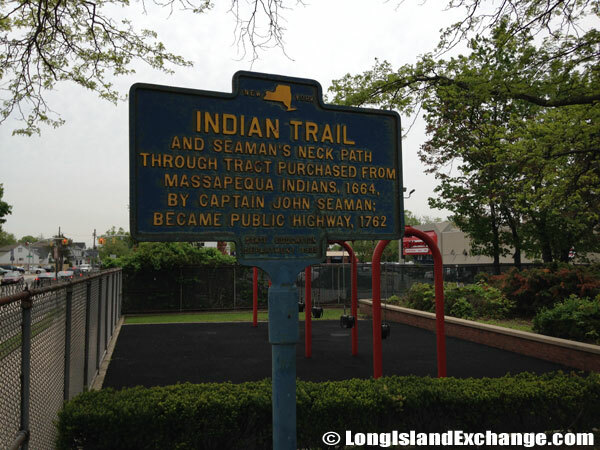 A historical marker for Indian Trail and Seaman’s Neck Path through tract purchased from the Massapequa Indians in 1664 by Captain John Seaman; became public highway in 1762. 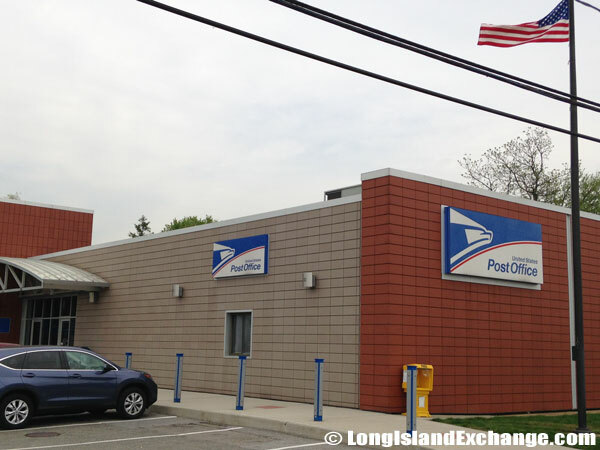 The Seaford Post Office on Montauk Highway. The Cedar Cove Residences on Cedar Street in Seaford. 71 one-bedroom units for those with a maximum combined income below $35,000; minimum age is 62. 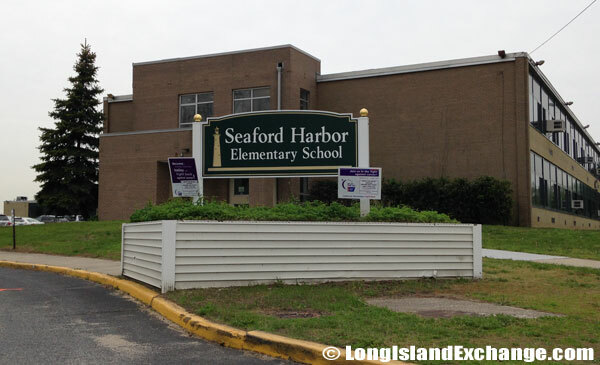 Seaford Harbor Elementary School, 3500 Bayview Street. Many older homes are being restored as Seaford’s residents want to maintain the beauty for which it is renowned. Aside from that, there are still new buildings going on, luxurious homes, and some affordable apartments that make a great living on the bay. The median home price in 2012 is $415,000. With a great place like this, winter is the perfect time to witness the stunning beauty that everyone enjoys in Seaford, New York. 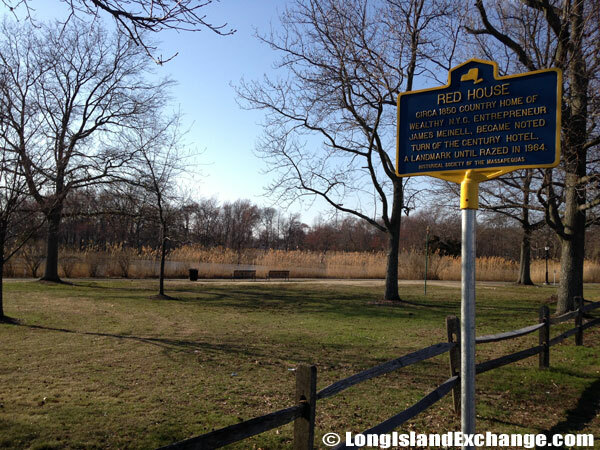 A historical marker for Red House, circa 1850 country home of the wealthy NYC entrepreneur James Meinell who became noted turn of the century Hotel, a landmark until razed in 1964. 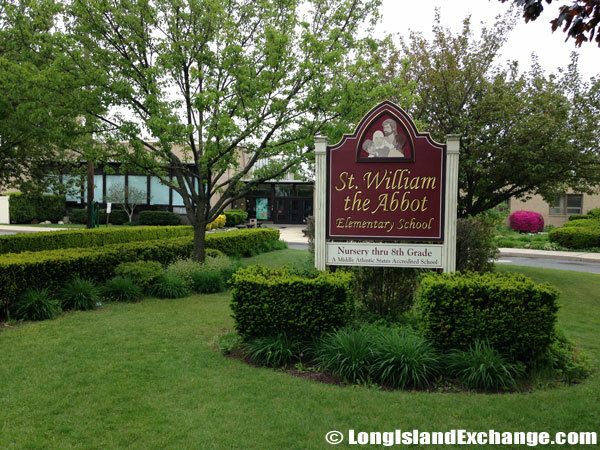 Saint William the Abbot School, nursery through 8th grade. 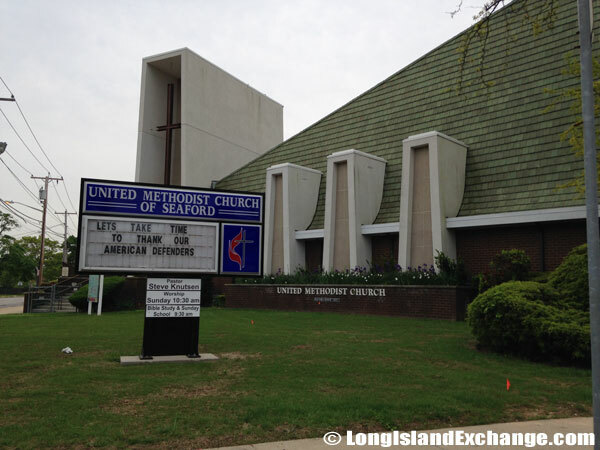 United Methodist Church of Seaford. Tackapausha Museum and Preserve, 75 acres of wildlife-rich nature areas with varied ecosystems and a museum dedicated to local habitats. 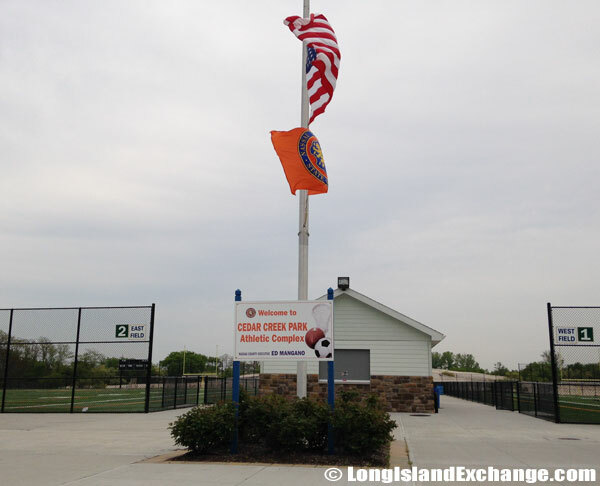 Cedar Creek Park, a 259 acre park with nine fields. Historical marker for the Washington Tour 1790. 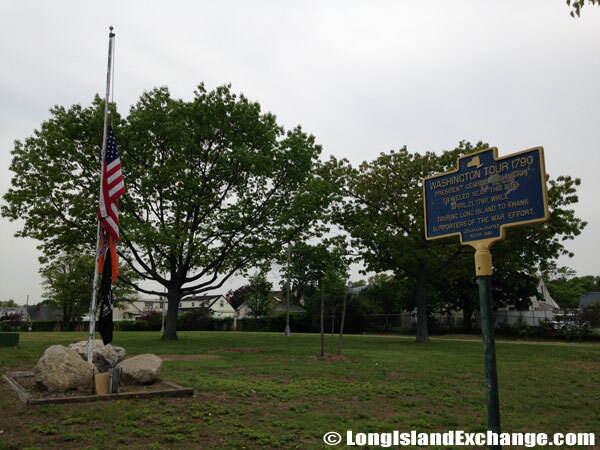 President George Washington Traveled Near This Site April 21, 1790, While Touring Long Island To Thank Supporters of The War Effort. Seaford retains a sense of the quaintness that drew so many people through its fine restaurants, historic sites, and many shopping outlets to satisfy all needs. The annual violent crime rate in Seaford is 1.96 per 1,000 residents making Seaford a relatively safe place to live.